Gondola rides along smoothly flowing canals, architectural masterpieces, historical buildings, majestic buildings and more…with so much to see and do in Venice, it’s hard to know where to start. The Bridge of Sighs, St Mark’s Basilica, St Mark’s Square and the Ponte di Rialto are just some of the landmark sites in Venice. Staying in a trendy boutique hotel in Venice ensures that you are in close vicinity to the major attractions, saving you precious travel time and allowing you to spend more time strolling along secret corners and taking in the sights and sounds, culture and cuisine of this vibrant city. 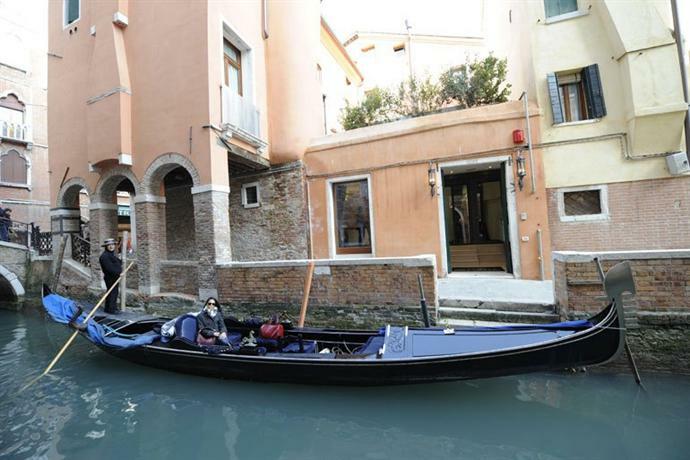 The snug and cozy Hotel Le Isole is located in the vicinity of Piazza San Marco along with the other major attractions of the place. Done up in a fusion of contemporary design and Venetian style, this trendy boutique hotel makes guests feel immediately welcome and comfortable as soon as they walk into the premises. There are deluxe, classic, family, and economy guest rooms to choose from, each one named after an island in the Venice Lagoon. Each room incorporates a blend of Venetian and contemporary styling elements with chic lights designed by the famous Mariano Fortuny. The rooms are spacious and come with Wi-Fi, air conditioning, satellite TV and a minibar along with other amenities. No detail is overlooked in an effort to provide the ultimate in comfort and convenience. The rich buffet at Hotel Le Isole offers a sumptuous array of dishes, from cereals, sausages, bacon and Deli meats to a variety of cheeses, croissants, pastries and more. It’s a great way to start the day while you are holidaying in Venice. Overlooking breathtaking sceneries and mesmerizing beauty, stands Hotel Antiche Figure, tall and strong. The hotel gets its name from the Renaissance frescos that decorated its façade in the 18th century. The ambiance is regal and ancient though the comforts and facilities are as modern as they get. 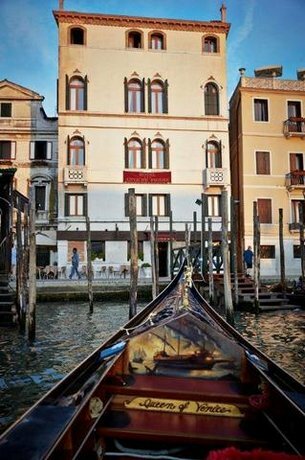 Occupying a historical 15th century palazzo, this modern boutique hotel offers mesmerizing views of the Grand Canal. Watching the calm waters and the historical sights across it, all from your room itself, is like taking a trip back in time while ensconced in modern comforts. An individual heating/air conditioning system, free and uninterrupted WiFi and satellite TV are few of the basic amenities offered in the rooms. The Locanda Orseolo is the place to stay if you want to experience the laidback, romantic vibe of Venice. Located in the heart of Venice, overlooking the Orseolo Canal and within short distance of the popular St. Mark’s Square, this unique boutique hotel is a marvelous restoration of a typical Venetian home. The interior of the hotel is absolutely majestic. Walking through the hotel feels like a dream sequence from a fairytale movie. Rich, upscale décor gives the entire space a regal look while still retaining an air of warmth and hospitality. All the rooms in this unique boutique hotel are spacious and just as regally furnished as the rest of the hotel. The staff are welcoming and make you feel at home from the time you enter the ornate lobby. If you want to experience the culture and history of traditional Venice and gain firsthand experience of the art and natural elegance of the place, The Gritti Palace A Luxury Collection Hotel is ‘THE boutique hotel you need to head to for a luxurious experience like no other. The hotel’s original wooden ceilings, entrance flooring and 18th century wall lamps all pay tribute to the rich historical past of the city. The rooms and suites are all spacious and airy while the appearance of every guestroom exudes a royal yet inviting touch. 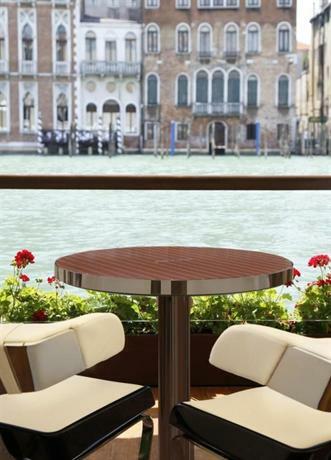 The Gritti Terrace is a great way to observe the gondolas on the Grand Canal as you indulge in scrumptious food while The Riva Lounge offers its guests an exclusive taste of the River Yacht and delectable cuisine you simply cannot resist. Bar Longhi is the ideal place to start your morning with a cappuccino or sip on your favorite drink in the evenings while the Restaurant Club Del Dodge offers authentic Venetian gourmet cuisine. The fitness center has a great selection of high-tech cardio fitness equipment and is complimentary for all hotel guests. 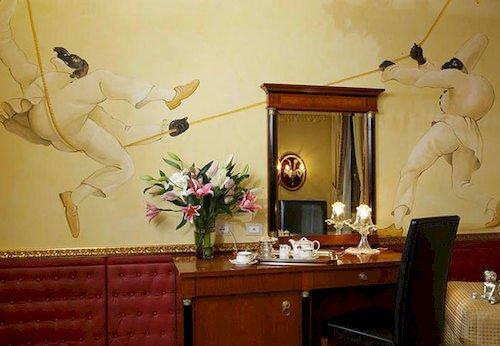 Hotel a La Commedia is located in one of the liveliest areas of ancient Venice and is at a walking distance from all major attractions and shopping boutiques. Right in front is the Golden Theatre and running parallel is the spectacular Grand Canal. The building itself was restored in 2006. All rooms of this cool boutique hotel boast high end facilities including Wi-Fi, a mini safe, air conditioning and an LCD flat screen TV. 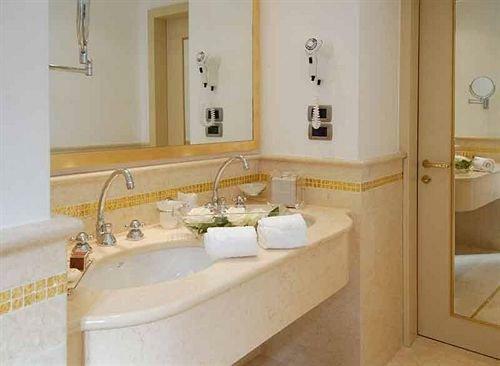 The spacious marble bathrooms make for one fascinating sight, enriched with real golden mosaics. Don’t worry though, they come with all of the modern bathroom amenities you need. It has the friendliest of staff and exemplary customer service that leaves you feeling pampered throughout your stay. With a happening atmosphere, years of experience and amazing guest satisfaction to its credit, Hotel Al Codega is a family run boutique hotel that mastered the knack of mixing the old and the new, the historical Venice and the new age charm of the city. All the rooms are stylish and classy and have a glimpse of Venetian influences in all corners. The roomy marble en suite bathrooms come with a bath and shower while the welcoming and multilingual staff sees to it that no stone is left unturned in providing quality service. The hotel also provides you with a hearty typical Italian breakfast that includes delicious pastries and fine coffee so that you are pumped up and well energized to get on with your tasks for the day. If you are more of a history buff and love things with an ancient touch to it, the NH Collection Venezia Palazzo Barocci is certainly the boutique hotel you are looking for, when at Venice. A former Venetian palace, the hotel is majestic as much as it is awe-inspiring. 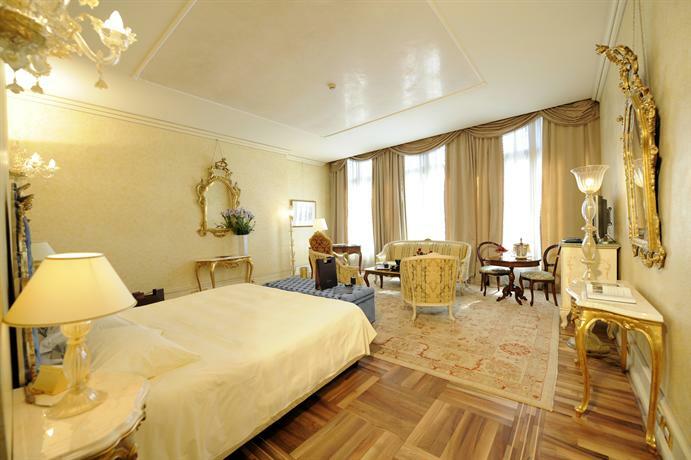 The guestrooms are decorated in Venetian style but come with a modern twist to it. You can opt from junior suites, superior rooms, premium rooms, family rooms and much more. All of the rooms are inviting, warm, spacious and offer you free Wi-Fi, in-house laundry services and newspapers. The friendly and helpful staff at the hotel gives you adequate information on the best restaurants in the city while you enjoy the lavish breakfast buffet that also comes with the local specialties. When the weather is sunny, you can have your breakfasts in the garden and start your day on a fantastic note. 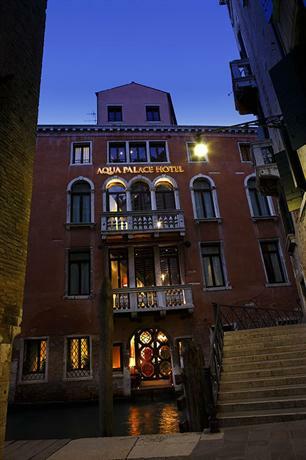 The atmosphere of ancient Venice comes alive at Aqua Palace Hotel as it is the perfect blend of tradition and modernity, of Venetian hospitality with a contemporary touch. 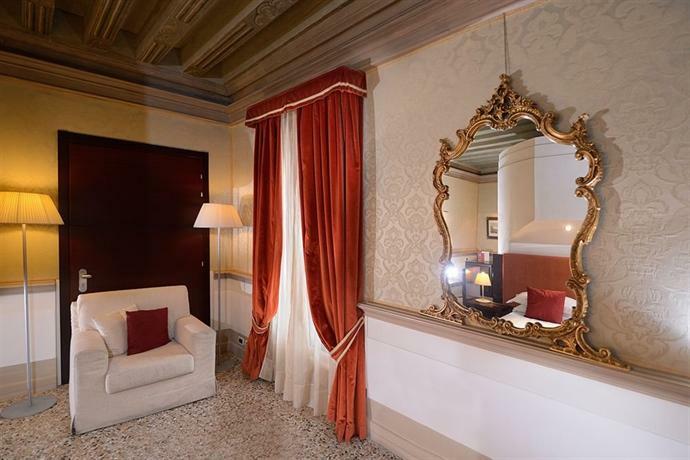 Set in the Castello quarter and equipped with furniture that dates back to the 1500s, the boutique hotel boasts cozy, intimate suites and rooms that overlook a breathtaking view of the Venetian Canal. All the rooms are spacious, spellbinding, and urbane and exude a royal appeal. A scrumptious breakfast, bathroom with a shower/bathtub, free Wi-Fi, air conditioning and satellite TV all help to make your stay all the more enjoyable. This historic palace comes with four floors and has a medieval charm to itself. The antique eastern shapes play with your mind and make for a visit you will never forget. 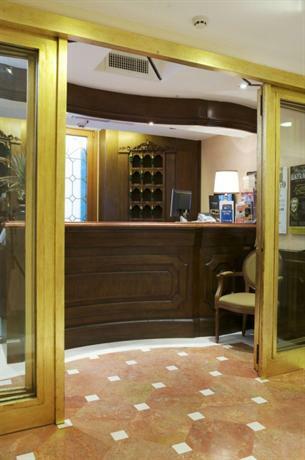 The hotel is located in an area that makes it easy to reach St. Mark’s Square and the Rialto Bridge. 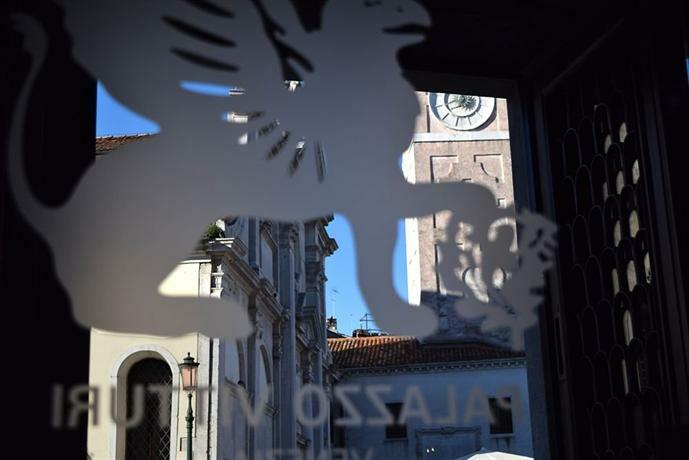 When in Venice, you have to stay at the charming Ca’ Sagredo Hotel. This unique boutique hotel was formerly an ancient museum filled with marvelous statues and antique artifacts. The sheer sight of it will take your breath away. This 15th century Palace has been declared a national monument. The marble staircase, majestic ballroom that gives you a glimpse of epic events of the past and the 42 brilliantly appointed rooms show you why Venice is such a popular place. The rooms and suites are royal, luminous, warm and are sure to make you lose touch with reality. You can relish spectacular Italian dishes and Venetian cuisine on the waterside at the L’Alcova restaurant. It overlooks spectacular views of the Rialto Market and so you can revel in the absolute beauty of it all. The Hotel Palazzo Barbarigo Sul Canal Grande is nothing short of enchanting with its open spaces, inviting atmosphere and intimate feel that exudes a seductive and romantic vibe. With 16th century elements and chic furnishings, this boutique hotel takes unique to a whole new level. A classy setting that radiates an ancient vibe but comes with modern amenities, it offers the right balance of a majestic feel with a laid back attitude. The 18 warm and spacious rooms and suites are decorated in art décor style and overlook the Rio San Polo and Grand Canal. A mini-bar, air conditioning and laundry service among other amenities are all available. At the Hotel Palazzo Barbarigo Sul Canal Grande every room is meticulously planned and elegantly designed to perfection. 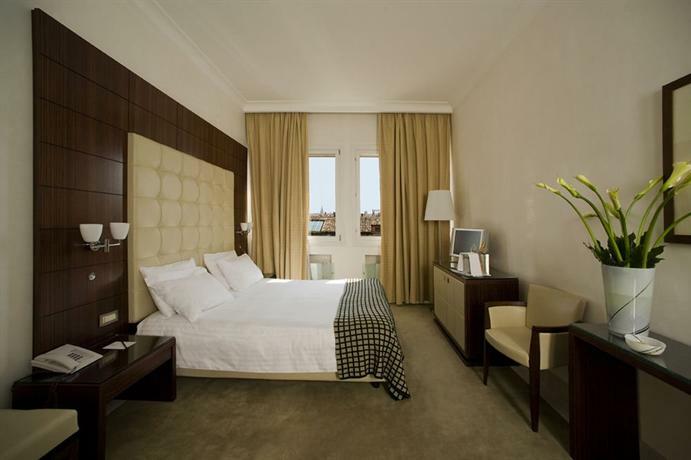 Reflecting the elegance of Venice itself, the Splendid Venice - Starhotels Collezione is graceful, elegant and chic. As Gondolas drift past the window and you experience typical Italian hospitality, you are sure to fall in love with this boutique hotel. Not for nothing is it acclaimed as one of the best boutique hotels in Venice. Luxurious 165 rooms and suites are put together thoughtfully in a classic mix of style, aesthetics and the essence of romantic Venice. With amenities that will make your stay easier, contemporary comfort and picturesque vistas of the Venice skyline, you can be assured of a great time. Le Maschere restaurant and the Lounge Bar gives you a classy dining experience as you indulge in scrumptious meals or sip a coffee or your signature drink as you check out the mesmerizing sceneries. 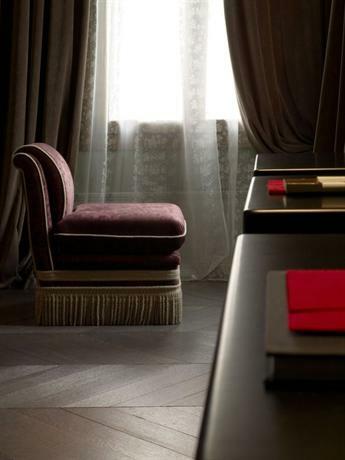 At Hotel Palazzo Vitturi you feel you are in the heart of Venice. 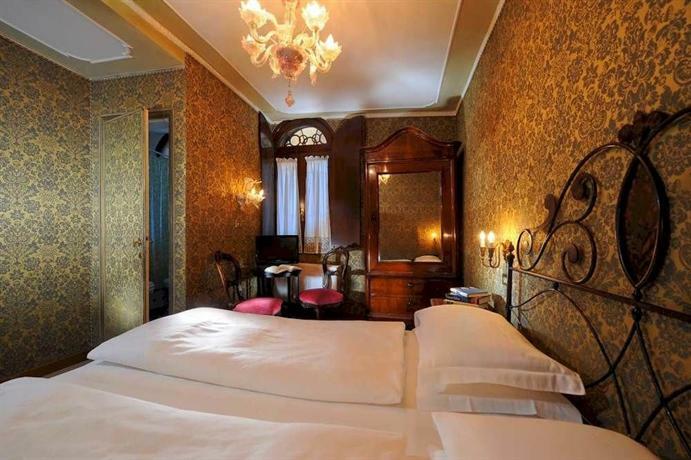 Tucked away in a snug, romantic area and moments away from the Rialto Bridge and Saint Mark’s Square, this boutique hotel exudes a gothic feel while it is royal in appearance. The 16 elegantly trendy rooms that are a blend of traditional Venice and modern comfort are a perfect retreat after exploring the incredible attractions of the city. The ancient 13th Century Venetian palace is absolutely gorgeous and the fresco ceilings and wide views are mesmerizing. Fast Wi-Fi, free drinks from the mini-bar, the Nespresso coffee machine and an HD TV system are just some of the amenities offered. With magnificent rooms, great comfort and a really good breakfast, staying at the Hotel Palazzo Vitturi is certainly going to be one of the highlights of visiting Venice. With 100 refined rooms to its credit and an awe-inspiring backdrop, Palace Bonvecchiati Hotel Venice is renowned for the service it offers. 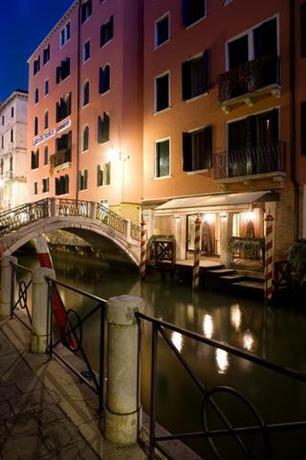 This four star boutique hotel has halls and rooms that are designed in modern Venetian style. 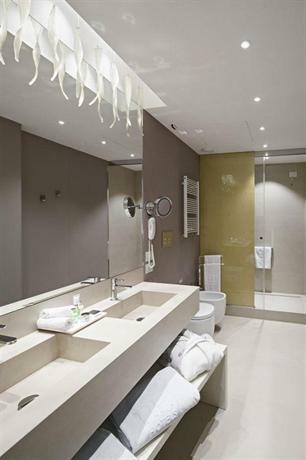 Precious marble and valuable fabrics adorn the halls of this hotel to give it a sophisticated yet relaxed feel. Luxury bathrooms, charming roofs and chimneys and spacious windows that open out to breathtaking views of the city, you will thank your lucky stars for booking a room here. Uninterrupted Wi-Fi, adjustable air conditioning, a minibar, safe and many more comforts await you, once you book a room at this hotel. You can enjoy traditional and reinterpreted Venetian dishes at the hotel’s La Terrazza restaurant. Set against the backdrop of 18th century Venice, the Ruzzini Palace Hotel perfectly captures the essence of the aristocratic eras gone by while incorporating the modern luxuries of the 21st century. With a welcoming environment and a tranquil vibe, guests immediately feel at home and find solace in the 28 accommodation options available. You can choose from suites, rooms and junior suites as they all come with exquisite elements and modern design that clearly brings out the typical vibe of Venice. Open beams and Venetian floors all add to the beauty and refined look of the place while the Palace cleverly combines history and art in an intricate way. A minibar, safe deposit box, air conditioning and flat screen satellite TV are some of the amenities that come with the guestrooms. If you prefer a calm and refined atmosphere and love to keep things low profile, Hotel Flora Venice, a charming boutique hotel run by the Romanelli family is sure to catch your fancy. The hotel is just behind Saint Mark’s Square and has a secret lush green garden hidden in its internal courtyard. The hotel consists of 40 rooms that are unique in style and furniture. It is perfect for couples and even during the times when you want to explore the city with your family. Toiletry sets, cozy beds, air conditioning and free Wi-Fi, you are sure to make the most of your stay here. You can also relax at the retro-styled bar and taste some of the finest whiskies, cocktails and liqueurs of Venice at this hotel. The best high end, unique, cool and small luxury hotels displayed on our map below.